Implementation of ISO. Agreement with Axis Communications AB renewed. Business seminar RFID Technology in Practice. The First Business Forum of Serbian and Israeli Businessmen. 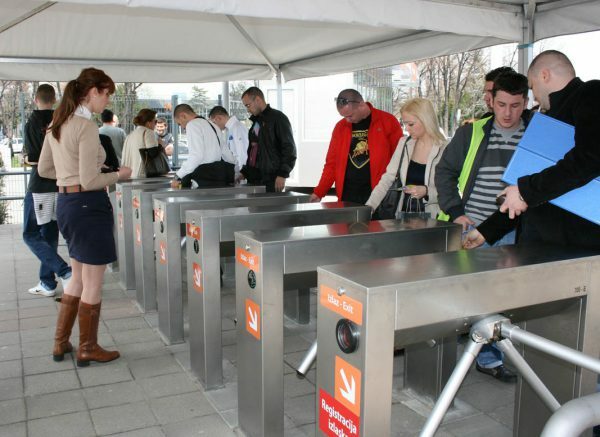 Modern Ticketing and Access Control System Implemented for Belgrade Fair. SDD ITG closed a deal with a value added Data Security distributor. Serbian Information Technology Society Award Ceremony. 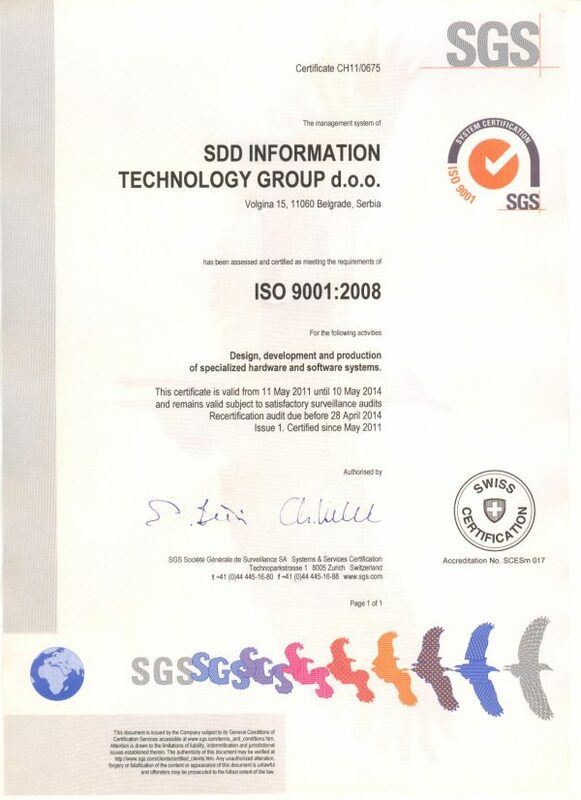 SDD ITG has been registered as development and production center. 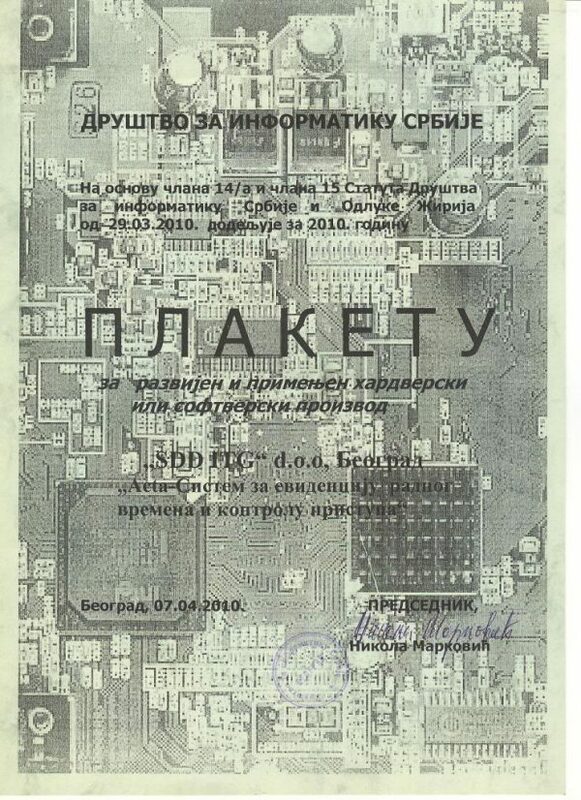 Patent registered. From now on, network video market leader’s products as a part of our systems.